From the #1 New York Times best-selling author of The Big Short, Liar’s Poker and The Blind Side! The Greeks wanted to turn their country into a pinata stuffed with cash and allow as many citizens as possible to take a whack at it. The Germans wanted to be even more German; the Irish wanted to stop being Irish. The trademark of Michael Lewis’s best sellers is to tell an important and complex story through characters so outsized and outrageously weird that you’d think they have to be invented. (You’d be wrong.) In Boomerang, we meet a brilliant monk who has figured out how to game Greek capitalism to save his failing monastery; a cod fisherman who, with three days’ training, becomes a currency trader for an Icelandic bank; and an Irish real estate developer so outraged by the collapse of his business that he drives across the country to attack the Irish Parliament with his earth-moving equipment. I’ve always found the financial crisis difficult to understand, particularly when it comes to the global level. 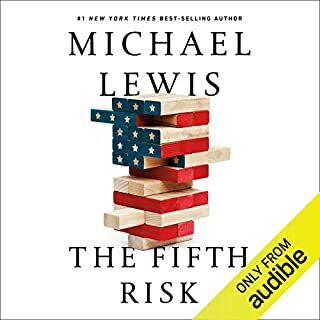 But Michael Lewis makes it entertaining and easy-to-understand through his firsthand account of the larger-than-life characters from five nations: Iceland, Greece, Ireland, Germany, and (last but not least) the US. The story of Iceland was especially fascinating – I remember a business acquaintance there who had to fly with thousands in cash shortly after the 2008 meltdown. Lewis not only explains the cause behind the collapse, but also the reasons for the rise of cheap credit in a nation that once made its fortune in fishing. Dylan Baker’s conversational tone makes it feel like Lewis is talking right to you, and he gets the occasional notes of sarcasm just right too. I’ll definitely be listening to more from him, and Lewis. 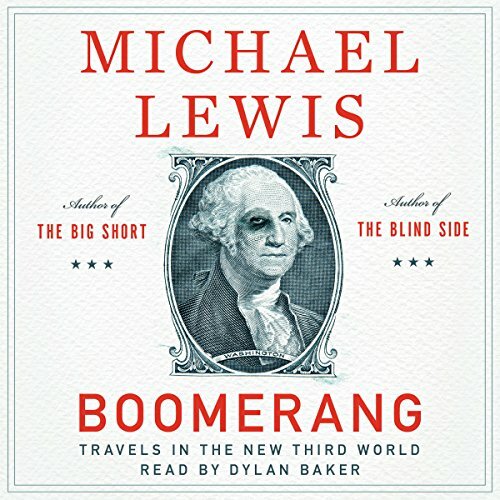 Michael Lewis takes us on a cool road trip.....visiting selected economic disaster areas. Beginning in Iceland and ending in California, his analysis of each of these self-inflicted financial wounds is factual, with a nice sprinkling of sarcasm and humor. After you've read this to read The Big Short: Inside the Doomsday Machine, also by Michael Lewis. That is probably the most important financial book written in twenty years. 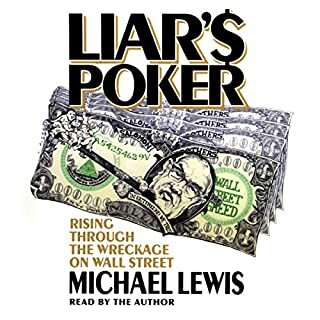 I'll read just about anything from Michael Lewis and have been a fan since Liar's Poker. In this book, Lewis is informative as ever, but throws in much more humor. Maybe he abuses a few stereotypes but the result is so damn funny that I'll let it go. Dylan Baker, new to me, is the perfect narrator for this tale. He adds the right touch of sarcasm that fits perfectly with the story. I'll look to him to introduce me to some new authors. make it The Big Short, not this one. I love Lewis, but I'm giving this 3 stars. If it were someone else, I'd probably give it 4, but this just felt not up to Lewis' standards. When I finished TBS, I was talking about it for days, and by the time I'd convinced my friends to read it, they were complaining that I'd already told them a lot of the best stories because I just couldn't resist. 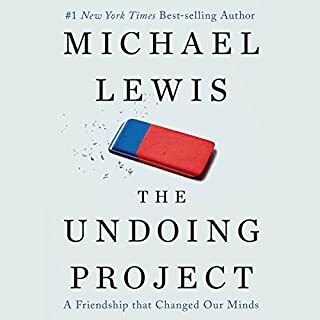 This book was enjoyable, but it just didn't capture my excitement the way other Michael Lewis books have. Uncharacteristically, there were parts that just felt like filler. The story of the Greek monks comes to mind. My biggest straight complaint is that Lewis really pushes the position that public workers unions are responsible for state and local governments' budget challenges, but he doesn't give much evidence that this is the case. To be sure, he may be right, but all he gives are anecdotes, like California paying a prison psychologist $800,000 a year. Yes, states and cities are in financial trouble, and yes, public workers and pensions are their biggest expense. But it takes more to say that it's the unions' fault. I'm personally disinclined to believe that it's unions' fault, but I respect Lewis, and I was willing to hear him out, he just didn't present much solid evidence. Maybe the story in the US is more technical and involved, or maybe my standards are higher because I'm more connected to it, but I felt like the sections on Greece and Ireland were much more convincing. At the same time, those stories are also pretty well hashed out by this point. The section on Germany was more original, but I'm hard pressed to say exactly what its conclusion was, except that Germans like poop. So yeah, it's a good listen, but not a must listen, and definitely listen to The Big Short first. 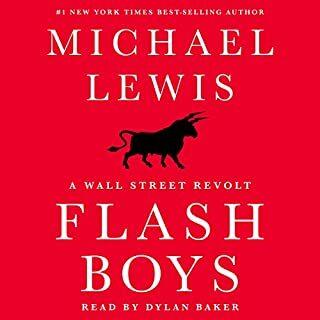 If you're a Michael Lewis fan, prepare to be disappointed. If you are going to read any book by Lewus, make sure this ISN'T IT. The over simplistic criticism of cultures described with usual male bashing gets old fast. I found his satirical description of some people ironic, as they were the same people who cooperated with him and provided him material for this book. 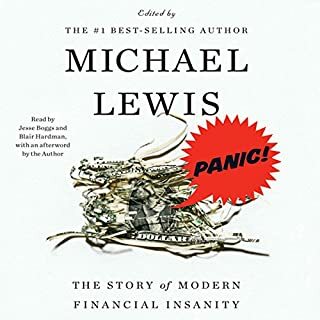 Lewis does share some interesting facts and provides useful analysis about the financial collapses. But I would consider this book more of a rant than anything else. I learned a lot listening to this book, but everything I learned felt grossly simplified. Lewis has latched onto these defining aspects of national character as his framework for the book, and I think he very often overplays them. The generalizations and pop-psych cultural studies sometimes fly a little thick and obscure the more interesting points, which I found distracting. But overall, it's worth a listen. Kinda wish he had a better thread(s) connecting all the short stories more cohesively. One thread that seems to permeate throughout the credit crisis worldwide is how humans are too often seduced by short-term gains, sacrificing the long-term good. This was well illustrated in the book. Listening to the book was time spent that would have otherwise been wasted for me. I found the stories to be informative, but I don't think they have any practical application or lesson for me. All they seemed to do, was point out that many governments have a very long road ahead of them if they are ever going to be solvent again. I found the section on Greece and it's people to be most interesting. Sad to say but it confirmed some stereotypes that already had and put much of the coverage that I had seen on CNBC in to better context. The part I found least interesting was the chapter on Germany and the German people's (or maybe it was just Michael's) obsession with solid human waste. I understand the point he was making about clean and orderly outside, and dirty inside, but I felt his approach was low brow. Dylan has one of the most unique vocal sounds and styles I've ever heard. Refreshing. Could you see Boomerang being made into a movie or a TV series? Who should the stars be? I would hope not. I don't think I would see this as a movie. Not really a story line that takes to the big screen. I would rate this book as just fair. 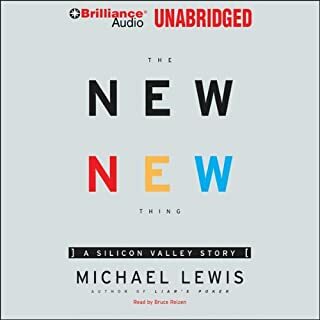 I have really enjoyed Mr. Lewis' previous non-fiction works like The Big Short, but this one didn't hit the same spot. Still looking forward to his next work.